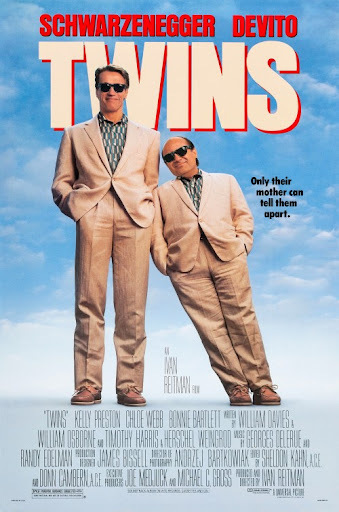 The long-gestating sequel to ‘80s comedy “Twins”, aptly called “Triplets”, isn’t progressing too fast but according to star Danny DeVito, they’ll eventually get it going. DeVito, in the UK to promote his role in Disney’s “Dumbo”, told TV’s Jonathan Ross (via The Daily Mail) that while he and Arnold Schwarzenegger are very keen to do the follow-up to the Ivan Reitman-directed hit they haven’t seen a screenplay they like. The most recent draft was penned by actor Josh Gad and co-captain Ryan Dixon. In a Reddit chat a few years back, Gad revealed that the script was well-received but he got the feeling Universal, the studio behind the picture, weren’t convinced it was a good idea. “The script is actually done. Everybody agrees that it’s great. We wound up doing two drafts. Universal, I think, hit the pause button temporarily for whatever reason – internally I think they are trying to figure out if they want to do a sequel or not. In the script, Murphy would play a newly-discovered triplet to Schwarzenegger and DeVito’s characters. While the powers-that-be decide if “Triplets” is ever to be, a similar project, with Josh Brolin and Peter Dinklage playing unlikely brothers, is in production. Be Cool co-stars get their Jumanji on!